Rotterdam has taken its next step on the path towards a circular economy with a project that uses 100% recycled asphalt. Rotterdam has taken its next step on the path towards a circular economy with a project that uses 100% recycled asphalt. This renewed asphalt was used to construct the subbase, base course and surface layer of the paving for one of the city’s bike paths. The recycled asphalt matches existing asphalt in terms of quality – which means this innovation presents both economic and ecological advantages. The invention is the fruit of a solid Rotterdam-based partnership. 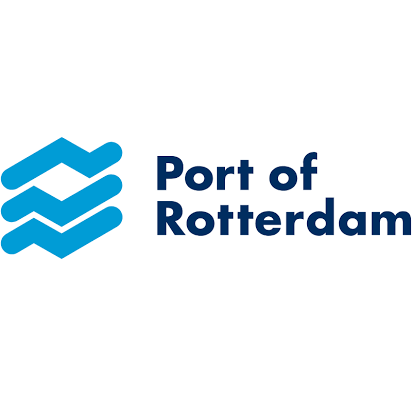 Rotterdam Alderman Pex Langenberg (whose portfolio includes Sustainability) is very pleased with the rejuvenated asphalt: “It’s a wonderful circular process that results in asphalt that can be used for a large number of roads in the city and the port,” according to Langenberg. Asphalt that is no longer used or that is up for replacement is sorted in Rotterdam and used on new municipal projects. As a result, cyclists can currently ride on this cutting-edge asphalt in the Merwe-Vierhavens (M4H) sub-area of the innovative Stadshavens Rotterdam project. In late 2014 M4H was adopted as a so-called ‘Lab op Straat’ (‘Street Lab’): a testing and demonstration area where the private sector, knowledge institutes and government authorities work together to create a more sustainable port city. This 120-metre-long street is dotted with innovations and circular activities. For example, the street is used to test innovative street furniture like an illuminated bench and a talking litter bin, as well as projects like this new sustainable road subbase and paving surface. KWS Infra (a VolkerWessels company) is responsible for constructing the renewed path along the Rotterdam Innovation District. The company has extensive experience in the development of sustainable and intelligent road construction solutions. 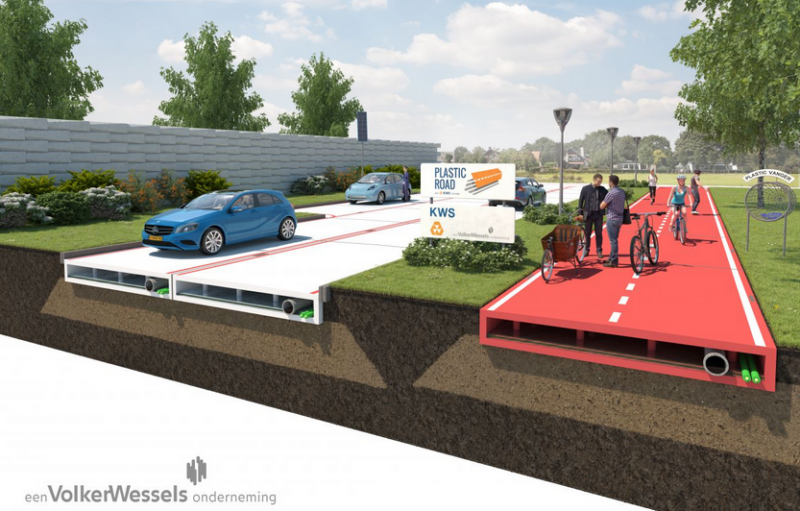 For example, KWS Infra recently enjoyed strong international interest in its PlasticRoad concept: a road made from recycled plastic. Implementing these and other innovative ideas, KWS carefully monitors whether the new product satisfies the desired quality standards. The first test results for the recycled asphalt were positive. If these innovations meet the various requirements set for them, they will be introduced in other parts of Rotterdam.